What is the future social media marketing? Social media marketing is the process of getting attention through social media sites such as facebook, Twitter, youtube, etc. 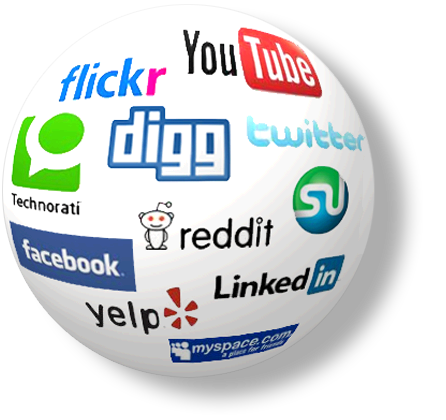 The ability to gain traffic to a website using social media marketing is becoming a new trend. Doing business today is very different from the days of TV only. The challenges of marketing are different from days of old. What worked in the past doesn’t always ensure success today. You can’t get by with knowledge in any one particular marketing arena. Today is about bringing value to others in new ways. Keeping your eyes and ears open looking for what the needs are and filling that need. Marketing today is about re-inventing and expanding your knowledge to build relationships with your customers across a sea of Social Media. It requires learning new technologies and a willingness to develop new marketing strategies. People like to engaging in conversations. Chatting online is the new marketing of social media. Understanding and following these chatting conversations shows you where your potential prospects are spending time online, and what subjects and issues they are interested in. In today’s market to gain your consumers attention, you must change your thinking from the “push method”, of broadcasting your messages via the media, to a “pull strategy”, where you draw people to you by making it easy for people to find your information via social media, letting your potential prospects or clients find you whenever and wherever they go online 24-7. Social Media Marketing is the wave of the future. It’s very important to have a presence on social networking sites. Social media is where the attention is. Social media networks don’t just give the marketer a place to express themselves, it also provides the marketer with a platform to interact with their customers and it helps you to create a better relationship with them. Ultimately fulfilling the sole cause of the business i.e. Create more sells and better customer Satisfaction. Social media marketing can also allow your marketing to go viral beyond your effort. Twitter allows you the marketer to promote your products or service on a simple platform. You can explain the use of a product or service in short messages. Followers are more likely to read a short message then a long advertisement. The messages can link to the product’s website, Facebook profile, photos, videos, etc. These short messages can create a loyal connection between product and individual and can also lead to more marketing opportunities. A twitter message is in real-time and brings customers in. Facebook profiles are more detailed than Twitter. Facebook allows you to provide videos, photos, and longer descriptions to draw your customer closer to you to build the relationship. Videos can show more about a product even if YOU are the product and videos can include testimonials. Facebook is the place to be in social media. Facebook allows you to be a person not just a product. People like to do business with people they know, like and trust. Social media allows you and your prospects to connect on a personal and business level. If you think Facebook and social media is a fad watch this video. Take your business to the people, using social media marketing. This entry was posted on Tuesday, April 10th, 2012 at 10:54 am	and is filed under Generic, Internet Marketing. You can follow any responses to this entry through the RSS 2.0 feed. Both comments and pings are currently closed. Fill Out This Form and Recieve a Free mp3 Downloadable Prospecting Techniques!